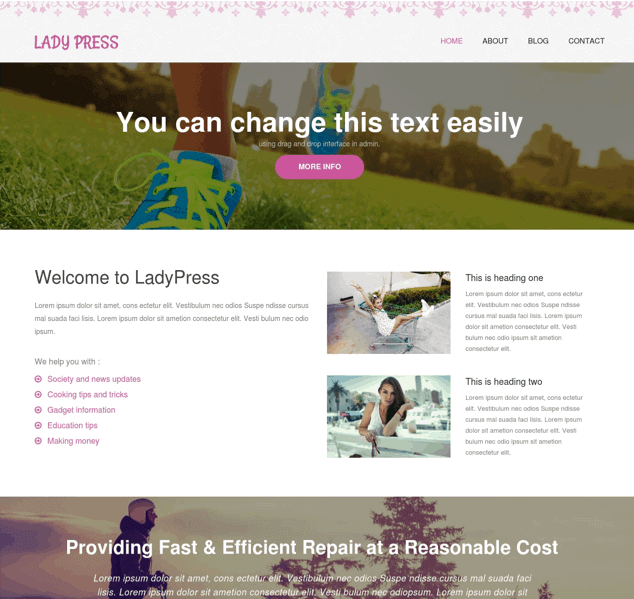 Ladypress is Free WordPress theme geared towards feminine kind of blogs. The smooth and simple design of Ladypress also makes it suitable for most of Blog types. This theme comes with intuitive and super fast drag and drop page builder which makes it possible to finish the website in hours instead of weeks. Go ahead download and try it as its free !